Tangie crossed with Banana Sherbet was an instant hit. You can expect large yields of frosty dense flowers with amazing color and intense Aroma. Banana Split is a must have for any strain collection. Medium size plants with a medium stretch make them easy to grow inside and out. 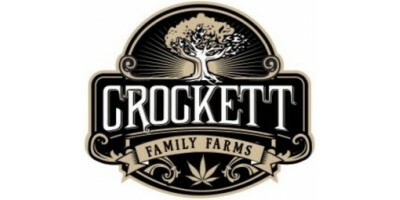 Crockett's Confidential by Crockett Family Farms is a marijuana seed that has its origin in the union of an LA Confidential and an elite Family Secret clone. It is a medium sized plant with a solid structure and long leaves. Guava Dawg crossed with the CFF secret ingredient made a connoisseur grade flower with amazing aroma! Smells of guava, grape, and OG kush. We crossed a very rare Mexican sativa called "The Ranger" to CFF secret ingredient, The Ranger has been around since the early 90's. Sour Tangie is a combination of the old and the new. Tangie being a newer strain people are going crazy for, and Sour Diesel an old school flavor of that sour funk people know and love! Double Tangie Banana from Crockett Family Farms is a marijuana seed that has its origin in the union of a Tangie and an unspecified fruity variety. Sour Banana Sherbet by Crockett Family Farms is a cannabis seed that has its origins in the cross of a Sour Diesel (Aj's Cut) and a Banana Sherbet. It is a rather big, sturdy and easy-to-grow marijuana plant with medium-sized leaves that yields abundant crops of big, compact and high-quality buds brimming with resin.